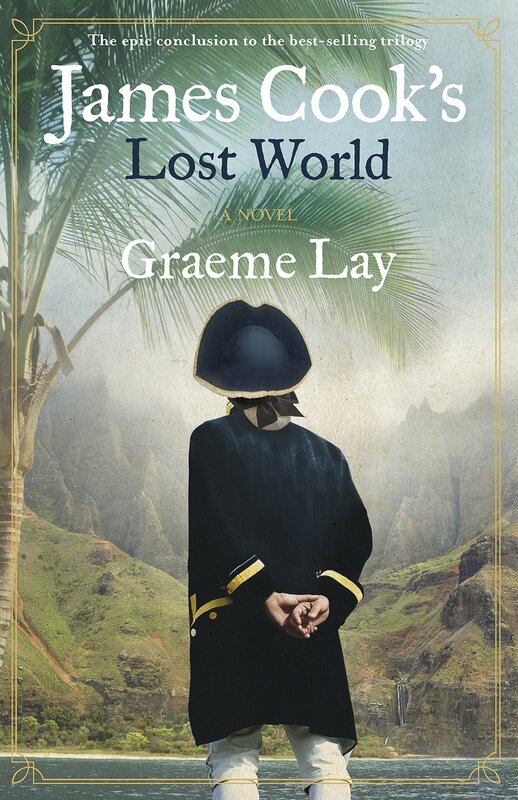 James Cook’s Lost World is the final in Lay’s trilogy after The Secret Life of James Cook (2013) and James Cook’s New World (2014). The novels cover Cook’s three voyages of discovery, and most readers would know how the third voyage ended for Cook, and if not Lay starts the third volume with an Introduction that talks of ‘violent deaths on the fatal shore of Kealakekua Bay’ – so we read with a sense of impending doom. In my review of the first two novels I wrote “despite … Cook coming off a little bland in the first volume, Cook’s story is compelling – and by the second volume Cook does shows some welcome weakness, self-doubt and humour” – well by the third installment we get a very flawed and vexed James Cook indeed! He is ageing and unwell; he knows his wife Elizabeth is deeply unhappy he has left his comfortable shore job to lead the third voyage; and the expedition is sailing in vessels that are well below standard due to miserly cost-cutting – a cause of constant anger and frustration for Cook. Ostensibly a journey to return the Ra’iatean Omai to Huahine, the voyage is actually a mission to look for a trade passage from the North Pacific to the North Atlantic. So the leaky vessels travel from the tropics to above the Arctic Circle. In my earlier review I also commented that “within the constraints of the prejudices of his time, Lay’s Cook is liberal, fair handed and possessed of a fine moral imagination”. You can’t say that of the Cook in the third volume – apart from his having a moral imagination, which makes his lack of scale and judgement regarding punishments meted out to his crew and to the inhabitants of the islands he visits all the more shocking and ghastly. And he realises this himself – being haunted by visions of his cruel and unreasonable self. But for stubborn reasons of hierarchy he is not able to admit that the lieutenants who try to reason with him are right. It is a tragic story, and not lacking irony: the worst offense in Cook’s eyes is the thievery they encounter as they sail around claiming any land they happen upon for the King. James Cook’s Lost World is a harrowing yet engrossing read. It is full of conflicted ideas: James King, one of Cook’s lieutenants, reports to the Lords of the Admiralty on his return: ‘Yes, he was at times a tyrant. But he was our tyrant.’ A great conclusion to a fascinating trilogy.